Source: Humboldt County Coroner's Office. 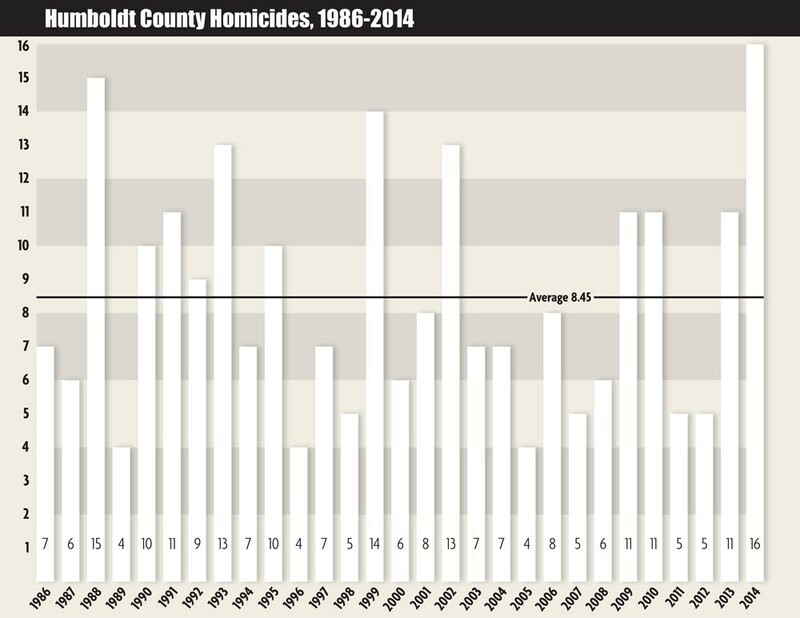 Humboldt County has seen more homicides within its borders this year than in any stretching back nearly 30 years. This morning’s officer-involved shooting fatality brings the 2014 total — with 13 days left in the year — to 16 homicides. 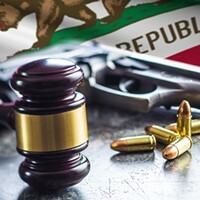 According to statistics provided by the Humboldt County Coroner’s Office, that’s more than in any year since at least 1985 (the office only had statistics readily available stretching back to 1986). Since 1986, the county has seen a double-digit homicide total 11 times, with the previous high being 15 back in 1988. Last year, there were 11 homicides documented in the county, a jump from the five recorded in each of 2011 and 2012. 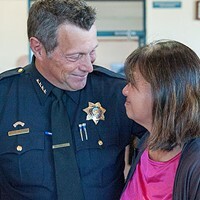 Humboldt County Coroner Dave Parris said it’s really hard to point out a singular cause for this year’s homicide spike. Looking at the numbers over the years, Parris said they seem to jump up every couple of years. “Why? I don’t know,” he said. If you read through case files on each of the homicides, Parris said some trends emerge: a number were related to domestic violence issues and more were related to marijuana cultivation or sales. Of the 16 people who have died at the hands of another this year, six were killed in southern Humboldt County, six in Eureka, two in Fieldbrook, one in Trinidad and one in Willow Creek. 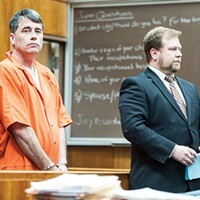 Of the 16 victims, six were age 25 or younger, which Parris said is troublesome.